If you are looking for great beauty products at good prices, Dove products are for you. Dove makes a number of different types of products including hair products, deodorants, lotions and body washes. They also have a separate line of products just for men. 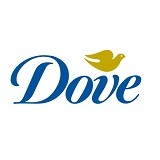 Dove is part of the Unilever family and this means you are going to get quality products. But the best part of Dove is that they are very generous with coupons and samples, so using these products can save you money. We all need to save money these days, don’t we? Let’s look at ways to find and use Dove coupons. Everyone should purchase a Sunday newspaper, even if they only do so for the coupons. Almost every Sunday, your local paper will include a coupon pamphlet or two. Keeping these pamphlets or better yet, cutting out the coupons and starting a filing system is the best way to start saving those hard-earned dollars. You can almost always find Dove coupons here. Your best bet for using a Dove coupon is to combine it with a sale. For instance, let’s say that CVS has Dove deodorant on sale for $3.00 each. That’s a good price, but combine it with a coupon for $1.00 off and now you are paying only $2.00 for your deodorant. Better, don’t you think? An even better deal is when your store has a rebate or a free-bate offer. Remember you can always use a coupon along with a rebate or a free-bate. This can result in you making money by buying that Dove product! Some recent Dove products that have had great coupon offers are Dove Body Lotion ($1.25 off one), Dove Beauty Bar ($1.00 off) and Dove Body Mist ($1.50 off 2). Definitely stop by the Dove website (http://www.dove.us) for more coupons. Click on the area labeled “Offers” and you will have the opportunity to get free samples, print coupons, see exclusive offers and enter sweepstakes. Dove also has a sister site, Dove Dimensions (http://content.dove.us/dimensions) that is loaded with coupons. This site is very informational too. Bookmark both these sites and check back because the coupons and offers change frequently. Since Dove makes beauty products, you will most likely find Dove coupons in your beauty magazines. Keep a pair of scissors handy for cutting out coupons as you browse. This way you won’t have to go back and try to find the coupons at a later time. Another good place to check for Dove coupons and offers is your local grocery store website or actual brick and mortar store. Stores often combine coupons with sale items to help save you money.